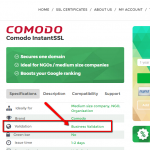 Comodo Premium Wildcard SSL is designed to secure your main domain name and all its associated subdomains with the standard 128 / 258 bit encryption. It is a very cost effective solution compared to buying multiple certificates for each of your subdomains separately, because it saves you time on management, configurations and renewals. This certificate is a Business Validated (BV) SSL, which requires a verification of your business and its owner. Your company has to be legally registered with the appropriate Government Registration Agency in the country or state where you apply from. The Certificate Authority will use a third-party business directory or a public telephone listing to find and call your company, and confirm that it performs its activity at the provided location. After the authorization process is completed, the SSL certificate will be issued to you within 1 to 3 business days. 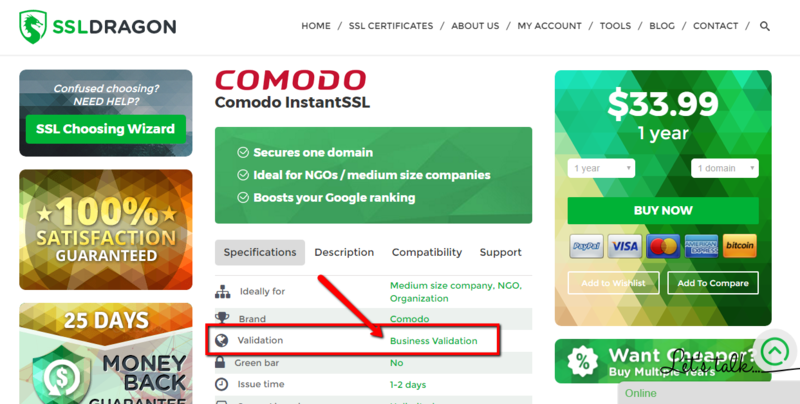 After the certificate is installed on your website, it will display the distinctive trust indicators: the green “https” in the address bar, a green padlock icon next to the URL, and the Comodo (now Sectigo) dynamic site seal which you can put anywhere on your website and which will display real-time company data when a visitor hovers the mouse over it. All these signs of a verified business and secured website will enhance your users’ trust and confidence, and will make them feel safe when entering their credit card details or their personal information on your website. Another great benefit of this Wildcard SSL is its high compatibility with most desktop browsers, mobile browsers, and server platforms. You will also be allowed to re-issue this SSl Certificate for as many times as you need, and install it on an unlimited number of servers. Your website will also benefit from getting a higher ranking in Google Search Engine, according to Google’ newest “HTTPS everywhere” policy. According to this policy, Google will give a priority to websites which have an SSL certificate. 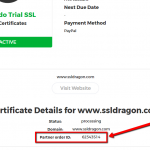 For your full contentment, we will offer you a 7% or 15% discount if you buy this wildcard certificate for 2 or 3 years, and 25 days money back guarantee if you are not satisfied with your purchase. 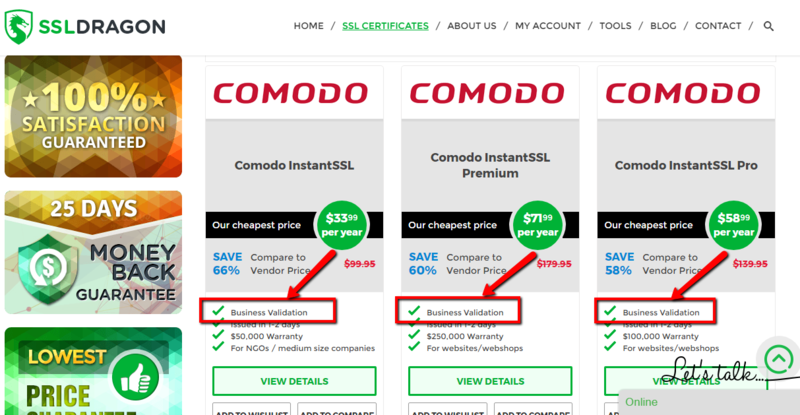 Comodo Premium Wildcard SSL is the ideal security solution for any company and online shop which is willing to secure multiple subdomains efficiently and at an affordable cost. As soon as I registered my business I’ve switched to a BV certificate and opted for this product. 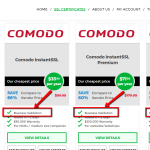 Comodo is a reliable provider with excellent prices. I was looking for a wildcard with business validation. This certificate had the best price so I purchased and configured it. Had to send a CPA letter for business validation because my company is based outside US and EU, but it took 3 days to get the ssl issued. What sub-domains can I secure with a Wildcard SSL Certificate? A Wildcard SSL Certificate is specifically created to allow users to secure one single domain name and all its sub-domains. With other words, you can secure one single domain name and an unlimited number of sub-domains belonging to that domain name with one single Wildcard SSL Certificate. You can add sub-domains to your server and they will be covered by your Wildcard SSL Certificate automatically. You do not need to re-issue your Wildcard SSL Certificate each and every time when you add sub-domains to it. The newly added sub-domains will be automatically covered by your Wildcard SSL Certificate. 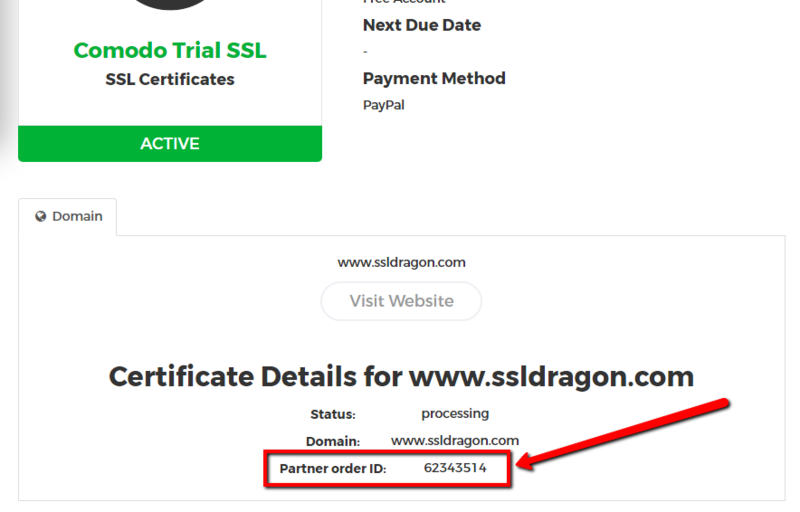 NOTE: The sub-domains that you can secure with one Wildcard SSL Certificate have to be either 1st level sub-domains (e.g. : *.example.com) or 2nd level sub-domains (*.mob.example.com). You cannot secure 1st and 2nd level sub-domains with one regular Wildcard SSL Certificate. If you want to secure 1st level sub-domains and 2nd level sub-domains, you have to get a Multi-Domain Wildcard SSL Certificate, or 2 separate Wildcard SSL Certificates. 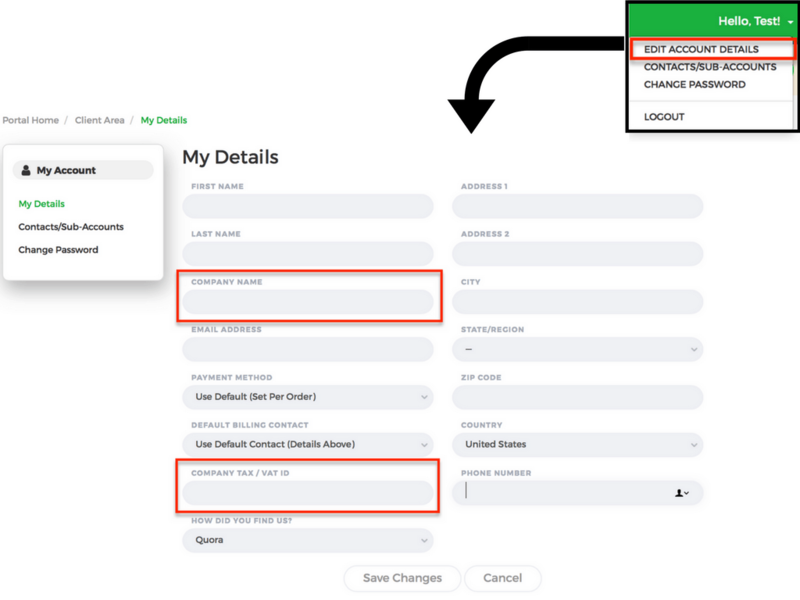 In order to secure one domain and all its sub-domains as shown in the first example, you have to include *.example.com as a common name (domain name) when creating a CSR (Certificate Signing Request). 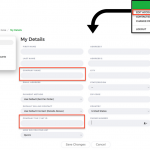 If you want to secure 2nd level sub-domains, then you have to enter *.mob.example.com as a common name (domain name) when creating a CSR (Certificate Signing Request). Can I add 1st level and 2nd level sub-domains in the same Wildcard SSL Certificate? The sub-domains that you can secure with one Wildcard SSL Certificate have to be either 1st level sub-domains (e.g. : *.example.com) or 2nd level sub-domains (*.mob.example.com). You cannot secure 1st and 2nd level sub-domains with one regular Wildcard SSL Certificate. If you want to secure 1st level sub-domains and 2nd level sub-domains, you have to get a Multi-Domain Wildcard SSL Certificate, or 2 separate Wildcard SSL Certificates. Do I have to re-issue my Wildcard SSL Certificate when I add sub-domains to it?